A New Book About Coney Island Theatres! Thanks Tricia Vita and Jim Moore for tipping me off to this great new book about the theatres of Coney Island. 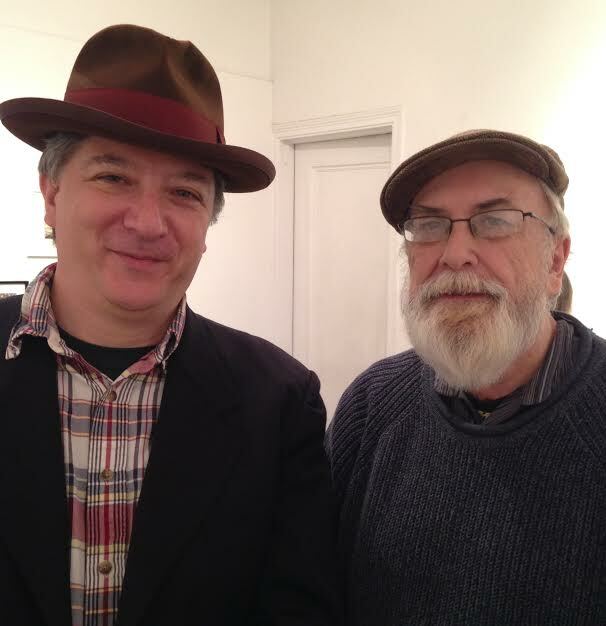 I’ve long known about the work of Cezar Del Valle — he is THE go-to guy for Brooklyn theatre history. I’ve read his work and we’ve corresponded throughout the years but we’ve never met, so I was delighted to get the chance yesterday to attend his talk at 440 Gallery which is just a couple of blocks from my house. 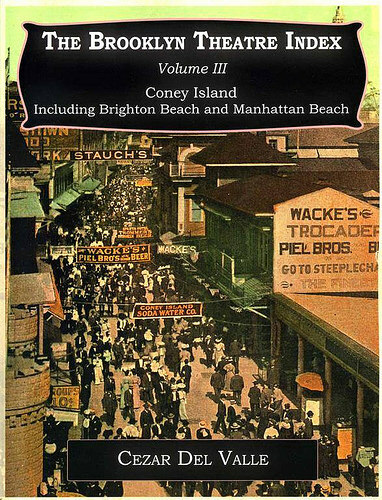 His illustrated slide show hit some of the high points of his fascinating new book, Brooklyn Theatre Index, Volume III: Coney Island, Including Brighton Beach and Manhattan Beach. Del Valle is an extremely entertaining presenter. Too many historians have a tin ear for what’s interesting. Absolutely the opposite with Del Valle. I am posting this now because I KNOW that so many readers will either want this new book for themselves, or know someone who would like it for a holiday gift. It’s actually volume three of his series on Brooklyn theatres, but let’s face it, Coney Island’s history is special. It may not be well known but there were tons of theatre-theatres out in the amusement district back in the day: not just sideshows and restaurant floor shows and the like but also vaudeville and burlesque houses, cinemas and plain old playhouses. Scores of them. Did you know that Joe Franklin ran his own nostalgia cinema out there? Harpo Marx made his vaudeville debut? Cary Grant was a stilt-walker? And a hundred things like that.